Shareable - Tiny house villages are a new part of the tiny house movement, yet they hold a lot of potential to transform lives and communities. The idea behind these villages is straightforward: bring tiny houses together in one place to create communities that share land, time together, skills, support, and other resources. Some tiny house villages are still in the planning phase or are demonstration villages, and many are designed to house the homeless. 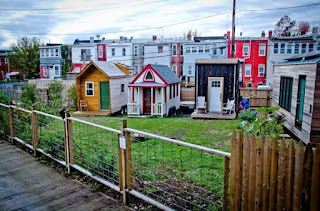 But as the tiny house movement grows, so too does the desire to live a simple life in community. 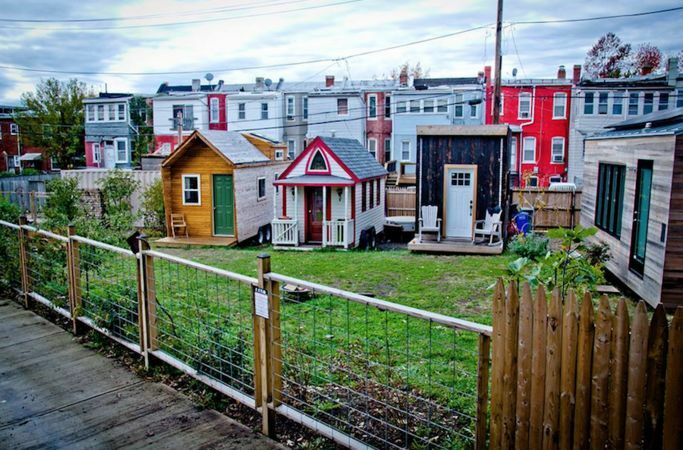 What we see today may be the beginnings of a large and diverse tiny house village movement. SOUNDS LIKE THOSE VERY COMMON 55 AND OVER SENIOR TRAILER PARKS TO ME..